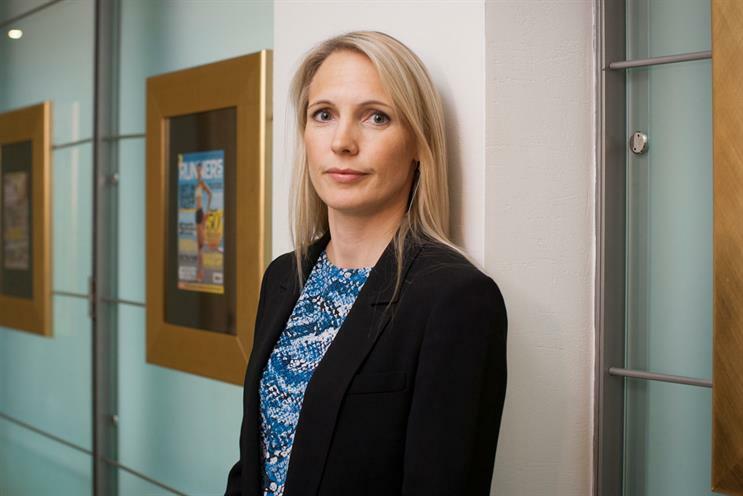 The publisher's new chief executive is a departure from past leaders - and innovation is top of her agenda. By Arif Durrani. After being asked the direct question "Are you going to close Company? ", Hearst Magazines UK’s new chief executive, Anna Jones, did not miss a beat before assuring us: "I’ll tell you if we are." Three days later, Hearst announced the 36-year-old monthly was to become a digital-only proposition. There had been no call. What to make of Hearst’s supremo? Digitally savvy and a mother of two young children, Jones marks a step change from the venerable group’s leaders of old. Her predecessor, Arnaud de Puyfontaine, had brought "formality, Gallic charm and a healthy ego" to the role, according to industry peer Nicholas Cole­ridge, the managing director of Condé Nast Britain. De Puyfontaine was a man who befitted the heavy oak panelling and huge wooden desk in his corner office at 72 Broadwick Street. When Jones was appointed to lead the 850-strong UK team, the carefully constructed veneer of wealth and power never stood a chance. "I thought: what century are we in here?" she says. "We ripped it all out and put in this recycled glass. It has opened it all up, and I changed the desk for this white, light furniture." The fast-talking Jones makes no secret of wanting to make her mark at Hearst, the home of Cosmopolitan, Elle, Good Housekeeping, Harper’s Bazaar and Men’s Health. "I’ve always been crazy about fashion, media and business," she says. "This is my dream job." After de Puyfontaine’s surprise exit in November last year, Jones, the then chief operating officer, fended off competition from a number of heavyweights. The media rumour mill went into overdrive, with the likes of Tom Moloney, James Wildman and Claudine Collins all bandied about as contenders. Duncan Edwards, the president of Hearst Magazines International, will only say he met with a number of "very strong candidates", all of whom would have done a great job, but they needed to offer something exceptional to win out over Jones. He adds: "We always knew we had a very, very strong executive inside the company in Anna. We first looked to bring her over while she was at Hachette [which Hearst acquired in 2011], and we only became more impressed the more we got to know her." Edwards, who ran the UK operation himself between 2005-2009 before ascending to the heady heights of Hearst Tower in New York, is confident the baton has been passed to the right person. "She’s tough, with the attention to detail you need, but also well-liked by the team for her straight-talking," he says. "She’s also very funny." The eldest of four sisters, brought up on a family farm and educated at Newcastle University, Jones describes herself as "passionate, collaborative and ambitious". Her focus is on creating "brands in 3D" from a portfolio that claims to reach one in three British women. The launch of the Hearst Empowering Women network in April typifies her approach. Aimed at celebrating the aspirations and achievements of women, the editorial and live initiative involved multiple brands and editors. This year, Hearst also did that most quaint of things and launched a magazine in the form of Town & Country – a British version of the title that has chronicled the lives of the rich and powerful in the US for more than 150 years. Meanwhile, a new Good Housekeeping Institute is being built in Soho, some 90 years after its inception, to trial the growing market of domestic appliances. It’s all a far cry from the gloom reported in last week’s ABCs for the first six months of 2014 – and that’s the point. "I think having a culture of innovation is important," Jones says. "You need to refresh and have new things happening and to be brave and shake things up a bit. If I can get a different conversation around magazine brands, that will be a good thing." Good Housekeeping is the new market leader in paid-for women’s lifestyle and fashion monthlies, overtaking Glamour with sales of 410,981 copies. There were also increases in Prima and Women’s Health, but most titles mirrored the wider market, which fell 4.4 per cent during the period. Jones stresses that circulations only form "part of the story" and points to increased activity around creative solutions, events and licensing. "We’re just trying to make it really easy," she explains as she looks to build on pre-tax profits of £17.4 million and turnover of £335.6 million. "One of the things I keep saying to my counterparts in agencies is, if you give us an open brief, you’ll be amazed about what we can do." Collins, MediaCom’s managing director, is among those impressed with Jones' first four months: "Very professional, personable and not afraid to make the tough decisions." She adds: "Putting in Ella Dolphin as the head of trading was a genius move. She has amazing contacts and is brilliant, and Anna saw quickly that she needed her in this important trading role." Charming, feisty and driven: in an age of shifting sands, Jones will be a welcome addition to the PPA board too. Just don’t play poker with her.